A celebratory trip to the store for Ben. 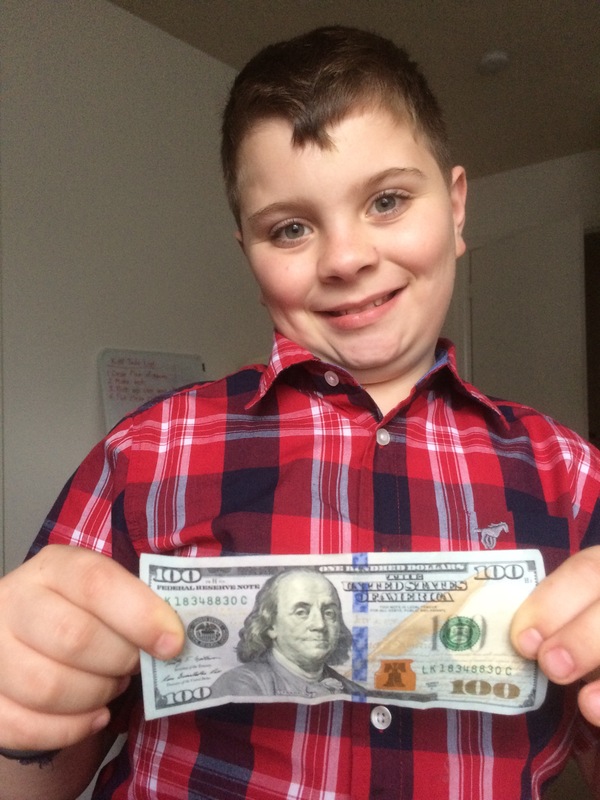 A couple from the church gave Ben $100 to spend anyway we want after his surgery. The poorboy was in quarantine for so long that we haven’t had a chance to take him to the store so that he could spend it. And of course, we hadn’t even told him. We were wanting it to be a surprise. After school on Friday, Chris took Ben on his spending adventure. Ben came running into my room and said, “Mom, I’m off to spend my C-note! “. He was so excited. This wasn’t birthday money. It was a celebratory gift. It was to honor the end of his surgery experience. The couple that gave it to Ben really wanted him to go and have a good time with him. I gave Chris two rules. 1. You can’t influence him in anyway. 2. And you have to take him to any store that he wanted to go to. We were having a Girl Scout meeting in the living room when Ben came home with his present. He comes running into the middle of the meeting to tell me what he got. He thought for sure I would hate it. Which made him even more excited to tell me all about it. Crazy boy! He is somewhat right. I have never let the kids have motorized ride on toys. I wanted them to go and run and play on their own. But this was a perfect choice for Ben. He has to get it started on his own and then the motor kicks in. But this is a wonderful way to celebrate the end of his old heart and the beginning of his new heart. He no longer has any kind a restriction on playing outside in the heat. So why not celebrate that fact then by buying a toy that he can play with outside. What was even more exciting, was watching Ben play on the new scooter. Normally after five minutes of being outside playing, Ben would be a hot mess. But today, nothing. His cheeks weren’t red, and his hair wasn’t soaked with sweat. Chris and I just watched with tears in our eyes and a smile on our face. With great joy we told Ben that he needed to go outside and play all day! How cool is that! 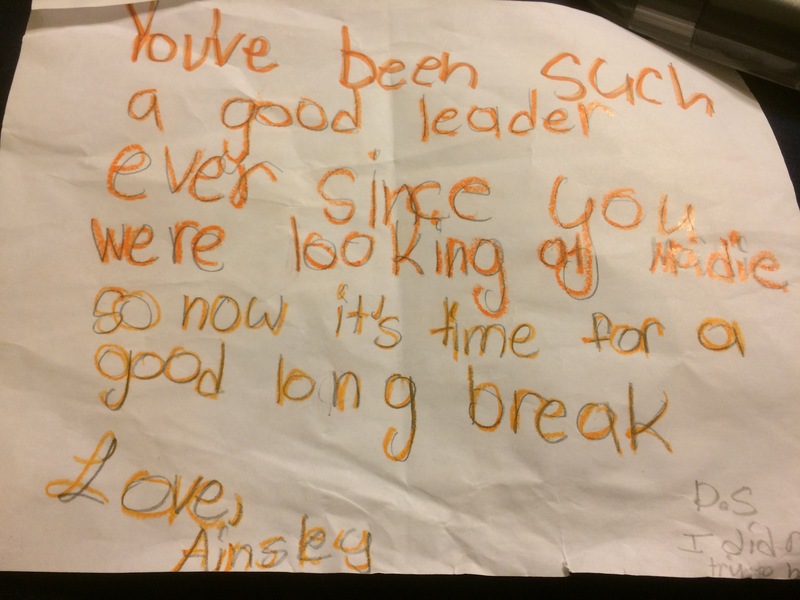 Ainsley made me this note when I broke my arm. She wanted me to know that she would help me recover. It was so sweet! 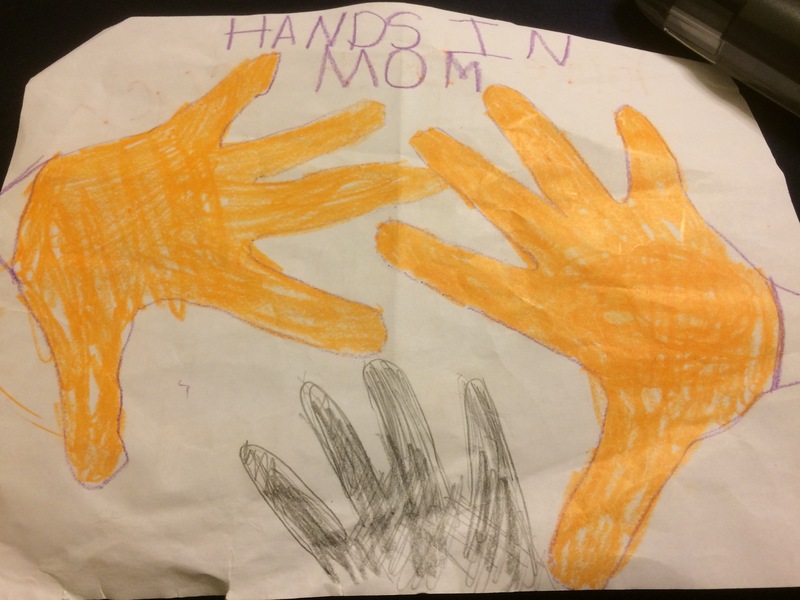 I really do have the best kids.